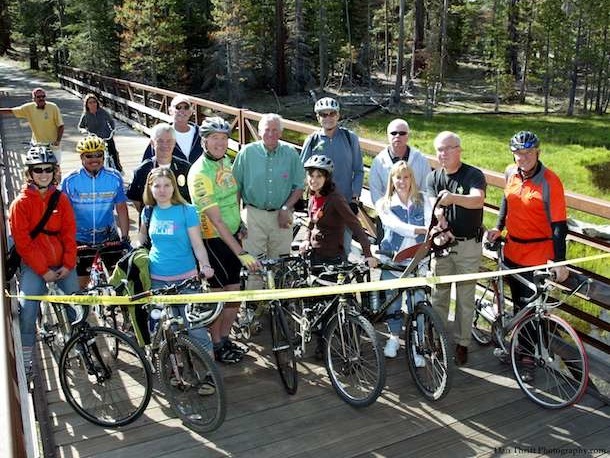 Bike Tahoe is a Team Tahoe eco-friendly program encouraging more people to ride a bicycle by providing valuable information, knowledgeable guidance and useful maps. Bike Tahoe was developed by Ty Polastri, a longtime sport marketer and bicycle advocate (Founder, Lake Tahoe Bicycle Coalition), along with the assistance from professional ski instructors, bike industry representatives, and digital media marketing professionals. 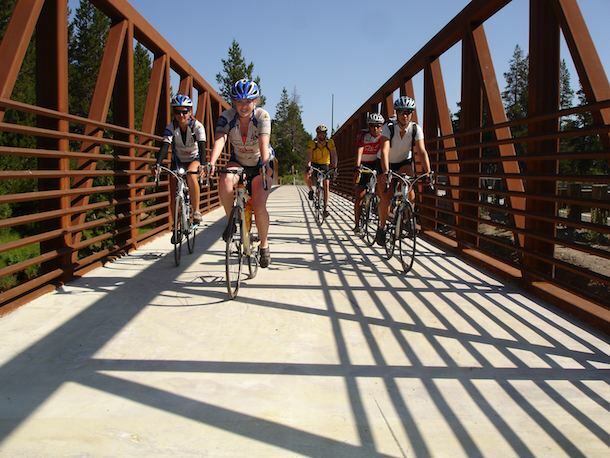 Ty believes that increased bicycle use helps contribute to the healthy transformation of community by stimulating more bikeway buildout, reducing automobile use and toxic emissions, and fostering a more healthy and connected experience with the Lake Tahoe environment. Team Tahoe is a Nevada based 501 c 3 nonprofit corporation with the mission of developing and promoting eco-friendly programs that help build sustainable communities, environments and economies in the Tahoe region. The following agencies, organizations and individuals have all contributed, in some part, to the development and availability of BikeTahoe.org, and Tahoe’s Ultimate Bicycling Guide. We thank each one of them for if it were not for them this project would not be possible.